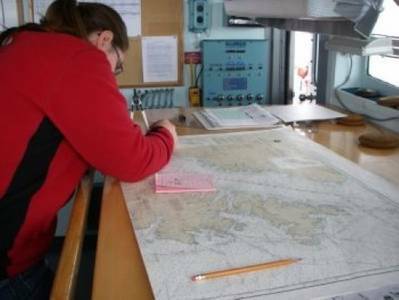 NOAA’s Office of Coast Survey has announced major changes ahead for mariners and others who use nautical charts. Starting April 13, 2014, the federal government will no longer print traditional lithographic (paper) nautical charts . NOAA will continue to provide other forms of nautical charts, including Print-on-Demand paper charts as well as electronic and digital formats. Since 1862, those lithographic nautical charts -- available in marine shops and other stores -- have been printed by the U.S. government and sold to the public by commercial vendors. The decision to stop production is based on several factors: the declining demand for lithographic charts, the increasing use of digital and electronic charts, and federal budget realities. NOAA will continue to create and maintain other forms of nautical charts, including the increasingly popular Print on Demand (POD) charts , updated paper charts available from NOAA-certified printers. NOAA electronic navigational charts (NOAA ENC®) and raster navigational charts (NOAA RNC®), used in a variety of electronic charting systems, are also updated weekly and are available for free download from the Coast Survey website. NOAA announced a new product as well: full-scale PDF (Portable Digital Format) nautical charts, available for download on a trial basis.